Authors: Chkhikvadze T.V., Bekreev V.V. The paper presents an analysis of research by a number of Russian and foreign authors devoted to the study of various occlusal splits, in particular, the mechanisms of their work, classification, their effectiveness in various forms of temporomandibular joint (TMJ) lesions, the advantages and disadvantages of individual splits and materials, used in their manufacture. It should be noted that the use of occlusal splits in the complex treatment of TMJ disorders allows to achieve the normalization of spatial relations of intra-articular structures and to eliminate the chronic mechanical trauma of TMJ tissues. The choice of the optimal treatment method of the TMJ internal disorders is made with account of the nature of mandibular movements, of the joint disc displacement, the pain syndrome, its possible causes, and the presence of local and general aggravating factors. The dissipating appliances allow the joint disc to be positioned physiologically correctly relative to the mandible head and therapy eliminate the prerequisites for the TMJ dysfunction development. According to both Russian and foreign researchers, the use of dissipating appliances contributes to an increase in the effectiveness o conservative treatment of the TMJ dysfunction, as well as to the prevention of complications such as secondary osteoarthritis and uncontrolled displacement of the joint disc. the temporomandibular joint disorders, articular disk, occlusal splits, classification of occlusal splits, operation mechanism of occlusal splits, materials for the manufacture of splits. Currently, lesions of the temporomandibular joint (TMJ), both morphological and functional, occur, according to various authors, in 40-75% of the adult population and occupy the third place among the main nosological forms of dental diseases [1; 2]. In 70-95% of cases of this pathology, the TMJ internal disorders are detected [3; 4], which in most cases are caused by functional disorders of the occlusion [5; 6], as well as changes in the connective tissue of the joint itself and surrounding tissues [7; 8]. With TMJ internal lesions caused by occlusion disorders, the therapy of choice is orthopedic or orthodontic treatment, in particular, with occlusal appliances and bite plates. Occlusion therapy with splits has a complex impact on the dental-jaw system as a whole, including teeth, muscles of mastication and the TMJ structures [9-14]. The principle of using occlusal splints is that they prevent the clamping of teeth in the intercuspal position and set the mandible to another position; this contributes to the appearance of the muscular and joint balance corresponding to the new position [15-17]. An important therapeutic effect is also the restoration of the normal tone of muscular mastication. When treating with splits, the new position and trajectory of the mandible movement are programmed, in which the pain in the TMJ and the pathological tension (spasm) of the muscles of mastication decrease or disappear  or the teeth normal closing is reproduced in the positions closest to the physiological central occlusion [19-21]. The use of occlusal splits to treat the TMJ disorders is pathogenetically justified, as they, by regulating the neuromuscular coordination, reduce associated muscle pains and ensure the desired position of the mandible, by distributing loads in bruxism and thereby contributing to improved functioning of the affected joint [22-24]. Occlusal appliances allow restoring the physiological occlusal vertical dimension, normalizing the mandible heads position at TMJ disorders, habitual luxations and subluxations, discs displacements [25-27]. Split treatment in patients with TMJ pathology is used, according to some authors [19; 28-30] with the aim of: ¨ restoring or improving neuromuscular coordination; ¨ changing the trajectory of the mandible movements and occlusal position; ¨ increasing the occlusal vertical dimension (interalveolar distance); ¨ muscle relaxation, reduction or redistribution of occlusive load capacity in cases of bruxism and parafunctions; ¨ differential diagnostics for detecting the occlusal component in the etiology of TMJ disorders. Currently, more than 40 types of appliances and bite plates are known, which differ from each other in the manner of fixation in the oral cavity, the localization (for the maxillae or mandible), the material used in their formation, and the types of split contact with the opposing teeth [17; 31-33]. V.A. Khvatova and S.O. Chikunov (2010) proposed a functional classification of occlusal appliances: ¨ dissipating appliances. Their mechanism is based on the dissociation of the teeth of the maxillae and mandible against the background of the reduction in the inter-alveolar distance with the aim of their protection from self-destruction. Dissipating splits are used in bruxism, unless a change in the mandible position in the sagittal and transversal planes is planned or the patient has no signs of muscular and joint dysfunction, and no significant occlusal reconstruction is envisaged in terms of dental treatment ; ¨ relaxing appliances (provide a reduction in muscle tone at the setting of the joint heads of mandible in the center position). It is used for elimination of the muscle pain and muscle hypertension or spasm. The concomitant effect of these splits is in the gradual transfer of the mandible heads to the position of centric (physiological) occlusion; ¨ stabilizing appliances (stabilize the mandible position after the normalization of muscle tone and reduce manifestations of the TMJ dysfunction). When the stabilization appliances are used, the load is distributed evenly throughout the muscles of mastication and their tonus is reduced. In this case, the mandible heads are transferred in the position of the central occlusion with the formation of simultaneous contacts on all the teeth [27; 34]; ¨ repositioning appliances (set the mandible heads into the correct position) are used for internal disorders of the TMJ and are divided into protrusive and distractive ones. Protrusive appliances are used to patients with distal displacement of the mandible heads, as well as with ventral displacement of the TMJ joint disk. The action mechanism of the protrusive appliances is the forward movement of mandible heads with respect to the central occlusion [34-36], since they are shifted backward at the distal displacement, and the joint disks are located in front of the mandible heads. When wearing a protrusive appliance, the dislocated disc also returns to the usual position above the mandible heads, i.e., it is being repositioned . To effectively correct the position of the mandible heads and joint discs with the help of an appliance, in this case it is advisable to focus not only on the clinical picture (the click at the beginning of opening the mouth and at the end of closing the mouth), but also on the axiographic data, which makes it possible to adjust the articulators in the correct position . Protrusive appliances are characterized by the presence of deep impressions of the lateral teeth bumps; the appliance is worn for almost 24 hours a day, and is being removed only for the oral cavity hygiene. Distraction appliances are used when compressing the TMJ tissues in order to reduce them. The decompression degree is programmed with the help of special devices in the articulator. The appliances are formed in such a way that the contact with the opposing teeth takes place only in the distal sections. As soon as the contact becomes complete (achieved for all the teeth), the thickness of the distraction appliance increases [32; 39]. A number of authors [17; 40; 41] think it reasonable to divide the occlusal splits into two large groups according to the mechanism of their work: ¨ permissive splits; ¨ repositioning splits. One of the most discussed and, at the same time, controversial issues in choosing the treatment tactics is the localization of the appliance (split) on the maxillae or mandible. In the scientific literature there is no consensus on the jaw preferred for the occlusal split location. According to most researchers, the results of treatment with splits do not depend on their location [32; 34; 42-44]. At the same time, each of these localizations has its own advantages and disadvantages, as well as certain limitations in application. According to available data, the use of maxillary occlusal splits is preferable, since the retention is better on the maxillae [45-47]. At the same time, a number of researchers point to the advantages of using occlusal splits on the mandible [27; 35; 48; 49]. Some authors note the presence of a number of factors that are important in the choice of the jaw, as a point of application of occlusal splits. For example, the jaw with the smallest number of available teeth or “terminal” defects of the dentition row should be chosen as the location of the occlusal split, as the number of additional occlusal contacts increases and, consequently, the stabilizing component of the treatment with splits increases [44; 50; 51]. Great role in the choice of the occlusal split localization belongs to the character of apical-cuspal contact of the opposing teeth. With a large sagittal gap and in the absence of incisal occlusion, it is advisable to make a split on the maxillae [40; 52]. Occlusion splits on the maxillae, according to some researchers, reduce the pressure on the TMJ and increase the occlusion vertical distance [20; 42; 53]. In addition, the use of these splits on the maxillae causes a decrease in the manifestations of synovitis and other clinical symptoms [54-56]. The advantages of using occlusal appliances on the maxillae, according to V.A. Khvatova and S.O. Chikunov, is in the easy formation of an explicit sheer frontal canine guidance and the exclusion of additional traumatism of parodontium due to appliances on mobile teeth. Disadvantages of appliances on the maxillae, according to the same authors, is in closing (full or partial) of the roof of the mouth, speech impairment, and non-aesthetic look of the appliance. Indication for the use of an occlusal appliance on the mandible is the aplomb position of the teeth, with lower incisors in contact with the dentate lobe . Advantages of the occlusal appliance location on the mandible: does not cause speech disorders, is aesthetically pleasing, practically does not interfere with the tongue, because it is located below its equator, it is easier to form and control in the process of treatment of the frontal-canine guidance. Selection of the appliance for the maxillae and mandible also depends on the condition of the hard tissues of the upper incisors. If the front upper teeth are erased, and short and their palatal surface is destroyed, then an appliance is recommended for the maxillae. If the front upper teeth are intact and normally located, then an appliance is recommended for the mandible . Depending on the type of material used, plastic and silicone occlusal appliances are distinguished. The main material for occlusal splits is plastic of hot or cold polymerization. The advantage of this material is its relative cheapness, ease of use and form stability. Plastic appliances are easily adjusted to the central occlusion with abrasive tools, and can also be built right in the mouth with self-hardening plastic. However, the use of plastic splits has certain drawbacks: in some patients, despite the correction, there occurs pain under the split, hypersalivation, sometimes - weak fixation [31; 53; 57]. Silicone splits are made of a transparent, durable, resilient and safe for health material. The advantage of silicone splits is their aesthetics (transparent and almost invisible); smooth surface, not injuring the oral mucosa; safety (silicone does not emit harmful substances even under the influence of acids and high temperature); they do not cause irritation and allergies; have high strength; are easily removed and applied and are easy to maintain. In the treatment with silicone splits, reliable retention is ensured within the dental arch of one jaw, but no control of the occlusal relationships of the dentition is provided. Another disadvantage of this type of splits is the fact that they can be used only for the first form of deformation according to V.A. Ponomareva’s classification, but are not used for the second one . The most modern and promising are 3D occlusal splits. The basis of this technology is the creation of a three-dimensional model of the patient’s dental system. Using 3D modeling, you can both calculate the duration of treatment, and also predict its results. 3D splits are characterized by the highest precision. The latest technologies are used in planning the treatment and manufacturing the splits, all calculations are made at the micron level. A special program plans the trajectory of the movement of each tooth. A set of individual splits is manufactured using the 3D printing method. 3D splits are durable and resistant to staining. They should be worn 22 hours a day. The average duration of treatment with 3D splits is 18 months. Disadvantages of 3D splits are the need for their repeated re-manufacturing during the treatment (every 2 weeks, a month or 2 months); long duration of treatment, use only in adults; high price. One of the discussed issues of occlusal split therapy is the choice of the optimum thickness of the split. A number of recent studies have proved the need for a differentiated approach to determining the required thickness of the occlusal appliance, depending on the nature of internal TMJ lesions. It was revealed that for the anterior disc displacement with reposition, the thickness of the occlusal appliances used should be less than for anterior disc displacement without repositioning. However, there are certain differences in the choice of the thickness of the appliances in each case. Some authors propose the use of 4 mm thick occlusal appliances for treating internal TMJ lesions with anterior disc displacement with repositioning, and without reposition, - thicker ones, up to 6 mm . Other researchers believe that if the position of the joint disc changes with its anterior displacement without repositioning, occlusion appliances with a thickness of 6 mm should be used, and in order to reduce the pain syndrome in the TMJ area, it is sufficient to use a thin (1 mm thick) occlusion split . Some authors in choosing the thickness of the occlusal appliances offer to be guided by the clinical signs of the disease. For anterior disc displacement without reposition with the presence of clicks / crepitus and pain syndrome in the TMJ area, it is recommended to use occlusal appliances with a thickness of 5 mm. In the absence of these symptoms, no statistically significant differences were found in the use of occlusal appliances with a thickness of 3 mm or 5 mm . In conclusion, it should be noted that the use of occlusal splits in the complex treatment of TMJ disorders allows to achieve the normalization of spatial relations of intra-articular structures and to eliminate the chronic mechanical trauma of TMJ tissues [15; 61-65]. The choice of the optimal treatment method of the TMJ internal disorders is made with account of the nature of the joint disc displacement, the pain syndrome, its possible causes, and the presence of local and general aggravating factors. The dissipating appliances allow the joint disc to be positioned physiologically correctly relative to the mandible head [32; 35; 57; 59; 66; 67] and thereby eliminate the prerequisites for the dysfunction development. According to both Russian and foreign researchers, the use of dissipating appliances contributes to an increase in the effectiveness of treatment of the TMJ dysfunction, as well as to the prevention of complications such as secondary osteoarthritis and uncontrolled displacement of the joint disc. Gaivoronskaya M.G., Gaivoronskiy I.V., Nikolenko V.N. Morphometric characteristics of the articular surfaces of the temporomandibular joint in different types of occlusion in adult persons. Morphology. 2015. V. 148. № 4. Р. 32—36. Rabukhina N.A., Golubeva G.I., Perfiliev S.A. Spiral computed tomography in the disorders of the maxiofacial area. М.: МЕDpress-inform. 2006. 128 p.
Badanin V.V., Dergilev A.P. Comparative evolution of the split therapy of the temporomandibular disorders. Novoe v Stomatologii. 2003. V. 112. № 4. P. 40—42. Schiffman E., Ohrbach R. Executive summary of the Diagnostic Criteria for Temporomandibular Disorders for clinical and research applications. J. Am. Dent. Assoc. 2016. V. 147. № 6. Р. 438—445. Arsenina O.I., Popova A.V., Gus L.A. The role of occlusal disorders in development of temporomandibular joint dysfunction. Central Research Institute of Dentistry and Maxillofacial Surgery. Moscow, 2014. V. 93. № 6. Р. 64—67. Artyuskevich A.S. Disorders of the temporomandibular joint. Sovremennaya Stomatologiya. Minsk, 2014. № 1. P. 1—14. Doroshina V.I., Makeeva I.M., Protsenko A.S. Stomatological dispensary treatment of students of Moscow higher educational establishments and ways of its improvement. Stomatologiya. 2010. V. 7. № 1. P. 9—13. Almarza A.J., Athanasiou K.A. Design characteristics for the tissue engineering of cartilaginous. Ann Biomed Eng. 2014. V. 32. P. 2—17. Volkov S.I., Bazhenov A.V., Siomkin V.A., Bogdanov. The topographic variation in the structure of the temporomandibular joint with occlusion disorders. Stomatologiya. 2013. № 2. P. 9—11. Panteleev V.D. Temporomandibular occlusial disorders. Part 2: Diagnosis of temporomandibular joint disorders. Institut Stomatologii. 2002. № 1. P. 26—28. Iaremenko A.I., Korolev V.O., Kovalev M.I. Modern algorithm of diagnostic and treatment TMJ disorders. Institut Stomatologii. 2017. № 3. P. 38—40. Daif E.T. Correlation of splint therapy outcome with the electromyography of masticatory muscles in temporomandibular disorder with myofascial pain. Acta Odontol Scand. 2012. V. 70. № 1. Р. 72—77. Kuzmanovic Pficer J., Dodic S., Lazic V., Trajkovic G., Milic N., Milicic B. Occlusal stabilization splint for patients with temporomandibular disorders: Meta-analysis of short and long term effects. PLoS One. 2017. V. 12. № 2. P. 1—21. Niemela K., Korpela M., Raustia A., Ylostalo P., Sipila K. Efficacy of stabilisation splint treatment on temporomandibular disorders. J Oral Rehabil. 2012. V. 39. № 11. Р. 799—804. Greven M., Landry A., Carmignani A. Comprehensive dental diagnosis and treatment planning for occlusal rehabilitation: a perspective. Cranio. 2016. V. 34. № 4. Р. 215—217. Schindler H.J., Hugger A., Kordab B., Türp J. Splint therapy for temporomandibular disorders: basic principles. J. Craniomand. Func. 2014. V. 6. № 3. Р. 207—230. Shweta Choudhary, H Murali Rao, Ajit Kumar, Rohilla Cheranjeevi Jayam. The Occlusal Splint Therapy: A Literature Review. Indian Journal of Dental Sciences. 2015. V. 1. № 7. Р. 101—108. Pihut M., Gorecka M., Ceranowicz P., Wieckiewicz M. The Efficiency of Anterior Repositioning Splints in the Management of Pain Related to Temporomandibular Joint Disc Displacement with Reduction. Pain Res Manag. 2018. V. 21. P. 1—6. Diaz Gómez S.M., Hidalgo S., Gómez Meriño M., Nápoles González I de J, Tan Suárez N. Oclusión dentaria. Reflexiones más que conjeturas. Dental occlusion. Reflections more than conjectures. Revista Archivo Médico de Camagüey. AMC. 2008. V. 12. № 2. Р. 1—12. Shedden-Mora M.C., Weber D., Neff A., Rief W. Biofeedback-based cognitive-behavioral treatment compared with occlusal splint for temporomandibular disorder: a randomized controlled trial. Clin J Pain. 2013. V. 29. № 12. Р. 1057—1065. Zhang C., Wu J.Y., Deng D.L., He B.Y., Tao Y., Niu Y.M., Deng M.H. Efficacy of splint therapy for the management of temporomandibular disorders: a meta-analysis. Oncotarget. 2016. V. 51. № 7. Р. 84043—84053. Khvatova V.A. Occlusal appliance: current state of the problem. Maestro Stomatologii. 2007. № 4: P. 52—56. Candirli C., Korkmaz Y.T., Celikoglu M., Altintas S.H., Coskun U., Memis S. Dentists’ knowledge of occlusal splint therapy for bruxism and temporomandibular joint disorders. Niger J Clin Pract. 2016. V. 19. № 4. Р. 496—501. Meirelles L., Cunha Matheus Rodrigues Garcia R. Influence of bruxism and splint therapy on tongue pressure against teeth. Cranio. 2016. V. 34. № 2. Р. 100—104. Lebedenko I.Y., Kalivardzhian E.S. Orthopedic dentistry: textbook. М.: GEOTAR-Media. 2011. 640 p.
Ferreira F.M., Simamoto — Junior P.C., Soares C.J., Amaral Monteiro Ramos A.M., Fernandes-Neto A.J. Effect of Occlusal Splints on the Stress Distribution on the Temporomandibular Joint Disc. Brazilian Dental Journal. 2017. V. 28. № 3. Р. 324—329. Ju-Hui Wu, Yu-Hsun Kao, Chao-Ming Chen, Ching-Wei Shu, Chun-Ming Chen, I-Yueh Huang. Modified mandibular splint therapy for disc displacement with reduction of the temporomandibular joint. Journal of Dental Sciences. 2013. № 8. Р. 91—93. Ebrahim S., Montoya L., Busse J.W., Carrasco-Labra A., Guyatt G.H. The effectiveness of splint therapy in patients with temporomandibular disorders: a systematic review and meta-analysis. J Am Dent Assoc. 2012. V. 143. № 8. Р. 847—857. Loster B.W., Loster I., Wieczorek A. Disk displacement without reduction — clinical and instrumental analysis of treatment results. J. Stoma. 2012. V. 65. № 5. P. 705—713. Murakami S., Maeda Y., Ghanem A., Uchiyama Y., Kreiborg S. Influence of mouthguard on temporomandibular joint. Scand J Med Sci Sports. 2008. V. 18. № 5. Р. 591—595. Khvatova V.A., Chikunov S.O. Occlusal appliance (current state of the problem). М.: Medicinskaya kniga. 2010. 56 p.
Alqutaibi A.Y., Aboalrejal A.N. Types of Occlusal Splint in Management of Temporomandibular Disorders (TMD). J Arthritis. 2015. № 4. P. 176—500. Crout D.K. Anatomy of an occlusal splint. General. Dentistry. 2017. March/April. Р. 52—59. Greene C.S. The etiology of temporomandibular disorders: implications for treatment. J. Orofac Pain. 2001. V. 15. № 2. Р. 93—116. I-Yueh Huang , Ju-Hui Wu, Yu-Hsun Kao, Chao-Ming Chen, Chun-Ming Chen, Yi-Hsin Yang. Splint therapy for disc displacement with reduction of the temporomandibular joint. www.sciencedirect.comjournal homepage. http://www.kjms-online.com. Kaohsiung Journal of Medical Sciences. 2015. V. 2. № 7. Р. 323—329. Williamson E.H. Treatment of anterior disc displacement with the removable Herbst appliance. Facial Orthop. Temporomand. Arthrol. 2001. № 2. Р. 4—6. Adonieva A.V., Iliin A.A., Schelkunov K.S. Reposition splint therapy in combined treatment of disc displacement with reposition of the temporomandibular joint. 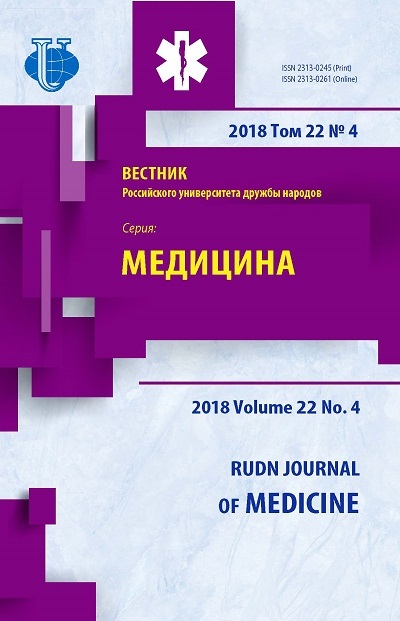 Journal of Siberian Medical Sciences. 2015; № 2. Roshin E.M. Diagnostics and treatment of articulation disorders of the patient with temporomandibular dysfunction. Dis. Cand. of medical science. Dentistry. 14.01.14. Tver. 2011. 190 p.
Haustein T., Weihe S, Haustein N. Milled appliance during the epoch of electronic measuring of temporomandibular joint. Dental magazine. 2016. V. 149. № 5. Р. 48—56. Dawson R.P. Functional Occlusion: From TMJ to smile design. St. Louis, MO: Mosby. 2007. Р. 379—382. Dylina T.J. The basics of occlusal splint therapy. Dent Today. 2002. V. 21. № 7. Р. 82—87. Miernik M., Więckiewicz W. The Basic Conservative Treatment of Temporomandibular Joint Anterior Disc Displacement Without Reduction — Review. Adv Clin Exp Med. 2015. V. 24. № 4. Р. 731—735. Rajendra G., Swapnali M. TMJ Disorders and Occlusal Splint Therapy — A Review international journal of dental clinics. International journal of dental clinics. 2010. № 2. Р. 22—29. Srivastava R., Jyoti B., Davi P. Oral splint for temporomandibular joint disorders with revolutionary fluid system. Dental Research Journal, 2013. V. 10. № 3. Р. 307—313. Naumovich S.A. Occlusion appliance: forms and role the complex therapy of TMJ disorders. Sovremennaya Stomatologiya. Minsk, 2014. № 1. Р. 7—10. Re J.P., Perez C., Darmouni L., Carlier J.F., Orthlieb J.D. The occlusal splint therapy. J. Stomat. Occ. Med. 2009. V. 2. № 2. Р. 82—86. Shankland W.E. Temporomandibular disorders: standard treatment options. Gen. Dent. 2004. V. 52. № 4. Р. 349—355. Deshpande R.G., Mhatre S., TMJ disorders and occlusal splint Therapy: A Review. Int J Dent Clinics. 2010. № 2. Р. 22—29. Truelove E., Huggins K.H., Mancl L., Dworkin S.F. The efficacy of traditional, low-cost and nonsplint therapies for temporomandibular disorder: A randomized controlled trial. J. Am Dent Assoc. 2006. V. 137. Р. 1099—1107. Greene C.S., Obrez A. Treating temporomandibular disorders with permanent mandibular repositioning: is it medically necessary? Oral Surg. Oral Med. Oral Pathol. Oral Radiol. 2015. V. 119. № 5. Р. 489—498. Wright E.F., North S.L. Management and treatment of temporomandibular disorders: A clinical perspective. J. Man Manip Ther. 2009. V. 17. P. 247—254. Katyayan P.A., Katyayan M.K., Shah R.J., Patel G. Efficacy of appliance therapy on temporomandibular disorder related facial pain and mandibular mobility: a randomized controlled study. J Indian Prosthodont Soc. 2014. V. 14. № 3. Р. 251—261. Seifeldin S.A., Elhayes K.A. Soft versus hard occlusal splint therapy in the management of temporomandibular disorders (TMDs). Saudi Dent J. 2015. V. 27. № 4. Р. 208—214. Al-Riyami S., Moles D.R., Leeson R., Cunningham S.J. Comparison of the instructional efficacy of an internet-based temporomandibular joint (TMJ) tutorial with a traditional seminar. Br Dent J. 2010. V. 209. № 11. Р. 571—576. Herb K., Cho S., Stiles M.A. Temporomandibular joint pain and dysfunction. Curr Pain Headache Rep. 2006. № 10. Р. 408—414. Jung H.D., Kim S.Y., Park H.S., Jung Y.S. Orthognathic surgery and temporomandibular joint symptoms. Maxillofac Plast Reconstr Surg. 2015. V. 37. № 1. Р. 14—25. Aizenberg A.M., Artemiev A.N., Bettelman A.I. The registration and reproduction of movement of the mandible for the correct dental prostheses production. Materials of the VI conference “Odontology 2004”. М., 2004. P. 8—10. Hegab A.F., Youssef A.H., Abd Al Hameed H.I., Karam K.S. MRI-based determination of occlusal splint thickness for temporomandibular joint disk derangement: a randomized controlled clinical trial. Oral Surg. Oral Med. Oral Pathol. Oral Radiol. 2018. V. 125. № 1. Р. 74—87. Januzzi E., Ferreira L.A., Da Silva Duarte J., Rodrigues Ribondi C. Almeida Corrêa C.V., Alvarenga M.G.J., Ferraz Gonçalves R.T.R., Almeida A.M., Durão Maurício P.J.B.T. Evaluation of this Temporomandibular Joint Space When Using Different Occlusal Splints by Cone Beam Computerized Tomography: A Case Report. J. of Dental and Oral Health. 2017. № 3. Р. 2—6. Lin Sh.-L., Wu Sh-L., Ko Sh.-Y., Yen Ch.-Y., Yang J.-W. Effect of Flat-Plane Splint Vertical Thickness on Disc Displacement Without Reduction: A Retrospective Matched-Cohort Study. J Oral Maxillofac Surg. 2017. № 75. Р. 1627—1636. Statovskaya E.E. Occlusal split therapy peculiarity. LAB. 2007. № 4. P. 3—6. Trezubov V.N., Bulycheva E.A. Peculiarity of complex therapy in the patients with temporomandibular joint disorders and its efficiency estimating. Institut Stomatologii. 2000. V. 9. № 3. P. 14—17. Chavan S.J., Bhad W.A., Doshi U.H. Comparison of temporomandibular joint changes in Twin Block and Bionator appliance therapy: a magnetic resonance imaging study. Prog Orthod. 2014. V. 15. № 1. Р. 57—64. Lalue-Sanches M., Gonzaga A.R., Guimaraes A.S., Ribeiro E.C. Disc Displacement with Reduction of the Temporomandibular Joint: The Real Need for Treatment. J Pain Relief 2015. V. 4. № 5. Р. 1—5. Liu M.-Q., Lei J., Han J.-H., Yap A. U-J., Fu K.-Y. Metrical analysis of disc //condyle relation with different splint treatment positions in patients with TMJ disc displacement. J. Appl. Oral Sci. 2017. V. 25. № 5. Р. 483—489. Fadeev R.A., Emgakhov A.V., Ponomareva E.A., Lee P.V. Clinical use of the occlusial appliance in complex rehabilitation of patients with TMJ disorders. Institut Stomatologii. 2017. № 3. P. 36—37. Yadav S., Karani J.T. The essentials of occlusal splint therapy. Int J Prosthetic Dent. 2011. № 2. Р. 12—21. Copyright (c) 2018 Chkhikvadze T.V., Bekreev V.V.